If you know me, you’ll know I’m a HUGE fan of strength training. One of the cool things about lifting weights is that you can easily do it from the comfort of your own home. It doesn’t take a lot of space or make a lot of noise, and all you really need is a simple pair or set of dumbbells. 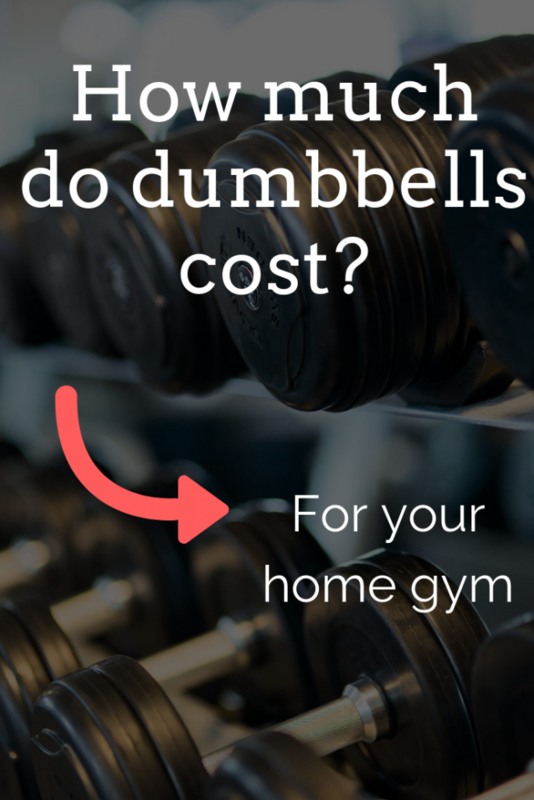 If you’re shopping for your home gym, you might find yourself wondering: How much do dumbbells cost? What price can I expect to pay? It really depends on a couple of things, like whether you want one pair or a full set, or whether you want to spring for an adjustable pair of dumbbells that rolls all of your weights into two. For dumbbells, you usually pay somewhere in the neighborhood of $1.50-2.00 per pound of weight. A simple pair of 5-pound dumbbells can cost you as little as $17-20. A set of light weights (like pairs of 2.5, 5, and 8 pounds dumbbells, for example) will cost around $40-50. A full rack of heavy dumbbells from 5-50 pounds and beyond will likely cost a thousand dollars or more. If you can tolerate a slightly different feel in your hands, you can also get a pair of adjustable dumbbells that go from 2.5 or so pounds up to 50 or more per hand for around $250-400. And there’s also everything in between and beyond these ranges, it all just depends on what you’re looking for and what your budget is! What affects the price & cost of a dumbbell set? There’s a pretty good range of what you can expect to pay for dumbbells. Literally… you can pay $15 or $5,000! It really all depends on a number of factors. This is the biggest and most obvious driver of price when it comes to home dumbbells. Obviously, you pay more for more weight and heavier dumbbells. From my experience and research, you’ll pay somewhere around $1.50 to 2.00 per pound of dumbbell weight. So 10 pounds of dumbbells (2x5lbs or a 10lb dumbbell) should run you around $15-20, give or take a few dollars. There seems to be a sliding scale where heavier weights should cost closer to $1.00-1.50 per pound. For example, a single 50lb dumbbell should cost you around $45-60. It would be rare to pay $2.00 per pound for a weight that heavy. You’ll probably see these three material terms a lot when you’re browsing Amazon or other online stores for dumbbells to buy. They affect the quality of the dumbbell and, in turn, its cost. Neoprene (a type of synethic rubber) is usually what you see when buying lightweight dumbbells for your home, in the 2.5-10 pound range or so. You can get a set of these bundled together for a pretty reasonable price if you’re looking for more cardio, HIIT, or high-rep based workouts. These are usually the least pricy of the bunch because they’re the lightest. Cast Iron is next. These are just solid iron dumbbells with the weight marking engraved or carved right into the side. There’s nothing flashy about them, and they’re super durable and cost-effective. Rubber Coated dumbbells are often the most expensive of the bunch, and they’re usually the best fit for a home gym. The rubber coating really helps protect your floor and home (and maybe your feet!) when you accidentally drop the dumbbells or place them down too hard. Adjustable dumbbells are a really cool option for working out at home. It eliminates the need to invest in only one weight or weight range for your workouts, giving you the opportunity to switch back and forth between several. 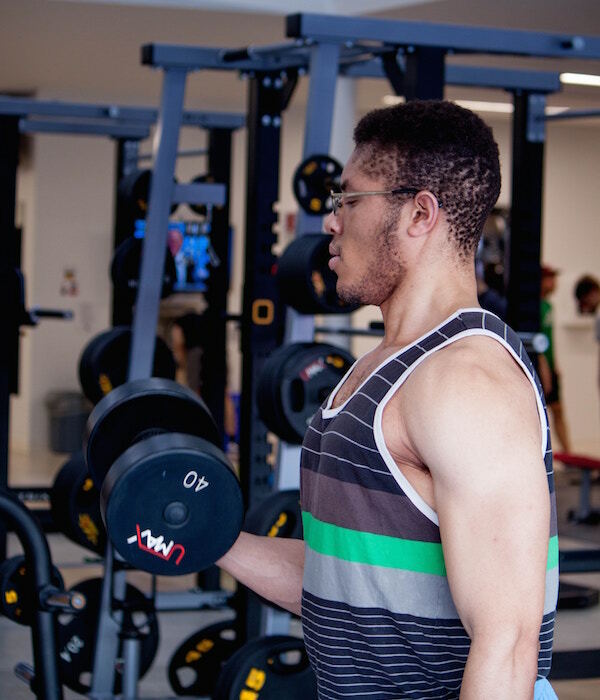 They are a substantially larger investment up front (usually a few hundred dollars), but if you’re at-all serious about sticking with your weightlifting routine and getting stronger over time, they’re a better long-term deal. They do feel a little bit different in your hand than traditional dumbbells, so that might be a drawback for some. Plate-loaded adjustable dumbbells are probably the most cost-effective option of all. They’re just small barbells, essentially, that come with actual weighted plates you slide on and off when you want. The downside here is that adjusting the weight between sets is slow and kind of a pain. They’re not a great fit for high-intensity or tempo workouts. While dumbbell brand may not be as important as it is during, say, deciding which smartphone to get, it’s still a factor to consider. Remember that you often get what you pay for. Bargain bin dumbbells from brands you’ve never heard of might seem like a good deal, but buyer beware. Bargain hunt all you want! Just carefully read reviews online with a specific eye toward calibration (are the weights as heavy as they should be? ), warranty and customer service, and durability. Below are a handful of dumbbells, pairs, and sets that should illustrate how the pricing generally works. You can very often get a better deal on Amazon (I’ll provide a few recommendations in the next sections). You can see by the list a good approximation of what the price of dumbbells ought to be based on weight, material, and singles vs pairs. Again, you’re going to pay somewhere in the neighborhood of $1.50 to $2.00 per pound of total weight, though even that is just a rough estimate. Small weights will be more per pound than big weights in most cases. If you want to find a really cost-effective way of incorporating dumbbells into your home workouts, I’ve got a few suggestions for you. These may not be the absolute cheapest dumbbells on the market, but for the money they’re a great bargain and still come with quality worth recommending. I think adjustable dumbbells are the way to go. I wrote above that they’re a bigger investment up front in most cases, but they give you a lot of room to grow and play with different weights and rep ranges without investing in a $1000 rack. And when it comes to adjustable dumbbells on a budget, it’s hard to beat plate-loaded spinlock dumbbells. This set from Yes4All is super cost effective and has great reviews. It won’t be good for high-tempo workouts, because they take more than a second to load and unload, but this is the cheapest way to get the most weight around. This is perfect for higher-rep toning workouts if you’re on a budget. 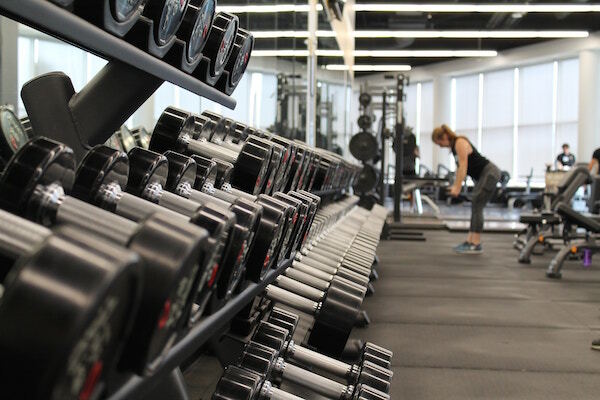 You may outgrow this quickly if you stick with the program, but the investment up front is reasonable enough that you can buy a new set or additional dumbbells when you’re ready. What are the best dumbbells for the money? The PowerBlock Elite adjustable dumbbells on Amazon. People absolutely love these dumbbells on every forum and discussion thread I’ve ever read (like Reddit). They look extremely weird and might feel funky in your hand at first, but with a little getting used to, they’ll become your favorite piece of home workout equipment in a hurry. How much do used dumbbells cost? Should you buy used dumbbells? Dumbbells are an excellent piece of equipment to buy used. Sadly, a ton of people splurge on expensive dumbbell sets only to find them gathering cobwebs in their garage a few months or years later. And it’s all to your benefit! The one problem is that, at least according to listings in my area, people don’t seem to be super willing to bring the price down. After all, if the dumbbells still work, it’s not like they’re a car engine that wears down and depreciates over time. Absurdly enough, I’ve seen a lot of heavily used dumbbells and adjustable dumbbells in my area going for 75-90% of retail. So my first tip for buying used dumbbells on Craigslist, LetGo, Next Door, or elsewhere, is to be ready to negotiate! Watch for wear and tear and adjustable dumbbells: This won’t be as much of an issue with big, meaty cast iron sets. But if you’re buying an adjustable BowFlex or Powerblock set, ensure that the weight switching mechanism works properly before handing over the cash. Be really clear about what you’re getting: If a stand is in the picture online, be sure you know whether it’s included or not before you make an offer. Same for any other equipment or accessories that may be pictured. Beware missing or mix-and-matched weights! It can be hard to tell from the picture if the pair of 15s is missing from the set, or if someone has thrown in a pair of 20s from another brand. That doesn’t mean you can’t buy, just make sure the set is full and matched properly before you make an offer. Be ready to pay around $1.50 to $2.00 per pound of dumbbell weight. It could be significantly more or less, depending on a number of factors like singles vs pairs, material, overall weight, and more. But that should give you a rough idea as you’re shopping. I usually recommend adjustable dumbbells for anyone on a strength training program looking to build some muscle — it’s the most cost effective way to not always need to be buying new dumbbells — but you can build muscle with light weights and high reps too! I hope my research and picks above help you figure out what you need. And if you’re not sure what to do with those dumbbells once you get them, head over to my page where I break down lots of popular workout programs and show you my favorites.